At their 10th Annual Gala, held in February, 2nd Call recognized their most important contributors of 2018 who help them achieve their goal of providing a 2nd Chance at Loving Life to high risk individuals, proven offenders, ex-felons, parolees and others whom society disregards. Along with their construction trade partner companies, this community based organization provides an opportunity to learn a skill that will provide a path to a better life to those who work hard, believe in themselves and are in need of a second chance. These individuals have the opportunity to achieve a productive and positive impact in their own lives and that of their community. The memory of our beloved Karen Price, whose untimely passing last year took the industry by surprise, was honored for her unwavering commitment to 2nd Call. 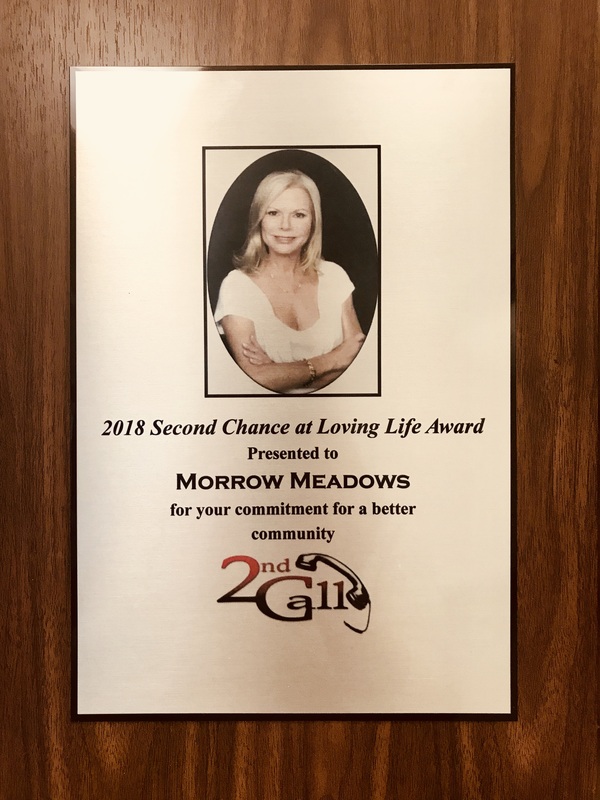 As President of Morrow Meadows Corporation, Karen supported 2nd Call from the organization’s beginnings and made it her mission to provide encouragement and that critical second chance, to those willing to work hard to help themselves. We are proud of Karen’s legacy and our ongoing commitment to treat people with fairness, dignity and respect.